playground, pool, reunion hall, and video library! 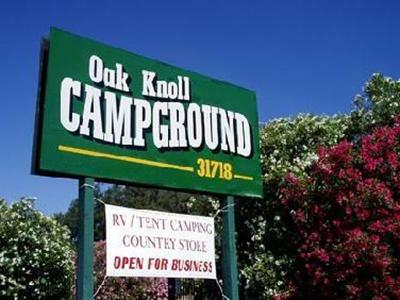 At Oak Knoll Campground, we have excellent facilities that will make your camping trip fun and relaxing for the entire family. Clean laundry and restroom facilities, a swimming pool and a playground for the little ones. 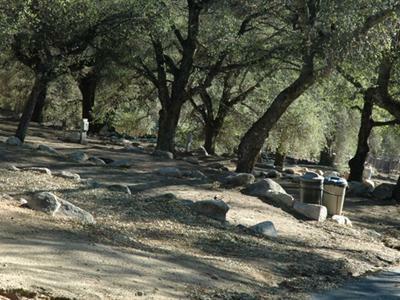 Our RV park with its giant oak trees is an easy place to sit back and relax. 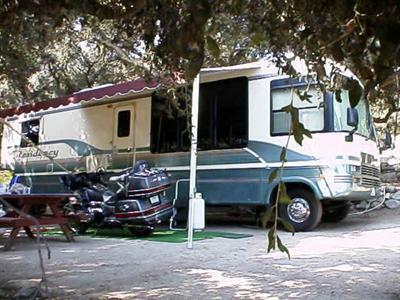 For our RV guests we have plenty of pull-thrus sites (and some back-ins), all with 30 amps of electricity available. We also have tent campsites. Groups are welcome at Oak Knoll Campground -- just give us a call in advance so we can accommodate you in the best possible way. You're sure to enjoy our BBQ facilities, the BBQ pavilion, and many great picnicking spots. 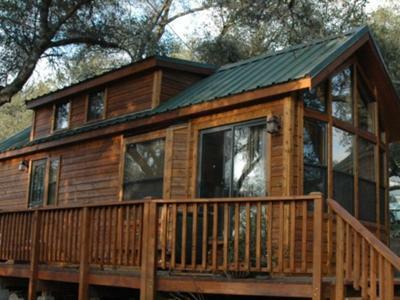 We offer cozy rental cabins at Oak Knoll Campground, all of which have pretty cedar interiors, thermal paned windows, and forced-air heating. Each has a full bath, kitchen with dishes, pots & pans, cooking & eating utensils, microwave, stove, refrigerator and TV. The cabins sleep up to four people. And since our Southern California RV park is open year round, this is a great place to visit during any season of the year. Because holidays are a popular time at Oak Knoll Campground, we ask that all of our guests book a minimum of three nights over all camping holidays. We welcome pets, though we ask that you please not bring any aggressive breeds (including Dobermans, Pit Bulls, and Rottweilers). There is a maximum of two pets per campsite and a small fee applies. For more information about our daily and weekly rates, just click our online reservations button!